The St. Croix ground lizard is federally endangered and is endemic to St. Croix (found nowhere else). The small lizard is highly susceptible to predation from mongoose and other exotic species it did not evolve a defense against.The lizard is believed to be extirpated from St. Croix. 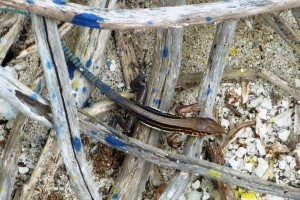 Today there are re-introduced populations of the lizard on three smaller islands off of St. Croix; Buck Island, Green Cay and Protestant Cay. 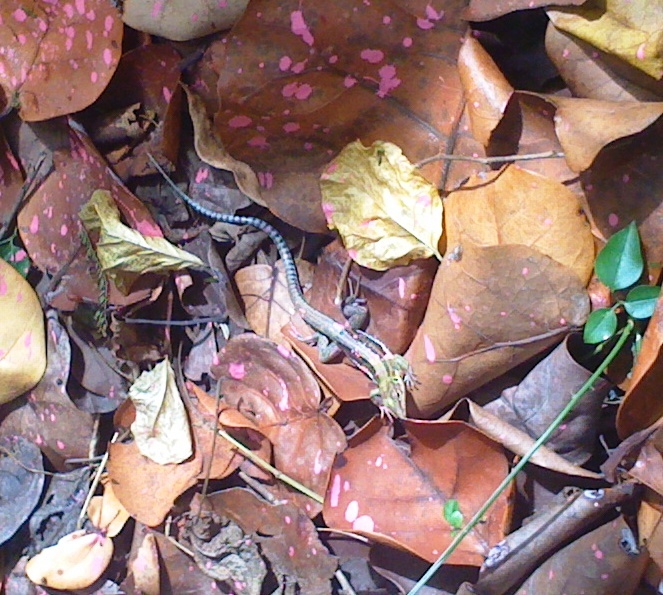 The lizards in the photos to the right and left have blue and pink paint splotches on them. This is a common and harmless technique used by Geographic Consulting to estimate population size.